• Automatic handling of multi-level joins according to the hierarchical levels and master cells. • Operational style which is similar to the copy & paste, but more convenient and intuitive. 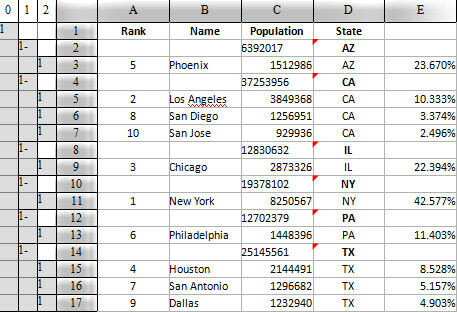 You need to calculate the proportion taken by the population of each city in its state. 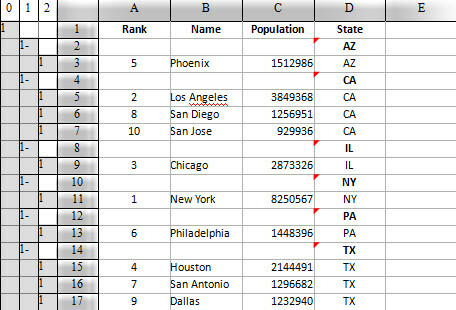 To calculate the proportion taken by the population of each city in its state, we need to join the population data of state with the city data according to the value of master cell. 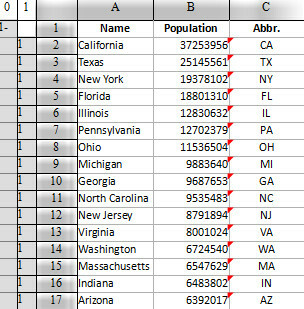 To do so, firstly, select a cell holding population data in the state information table, B2 for example, and, at the same time, press Ctrl+C to perform a copy operation. 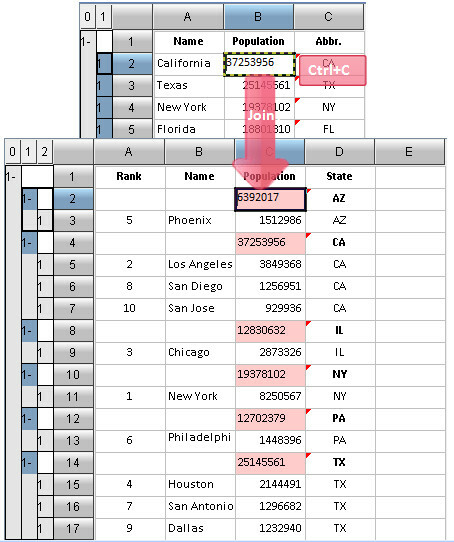 Secondly, in the city information table, select a cell where the state population is located, such as C2, and perform a join operation with the Left join selected to avoid bringing in the state information not included in the table. esCalc provides join operation to associate data from multiple files. Actions similar to copy & paste and of auto-join will save users a lot of trouble caused by complex formulas and operations and make them work with facility and efficiency.